We're doing something different this time around. 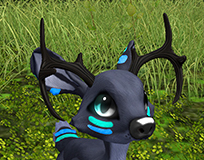 We are adding a very rare chance for a brand new Antler Trait to show up! 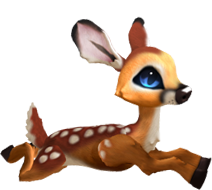 "OverUnder Antlers" may be on your next Fallen or Risen LE. It's not guaranteed by any means, but some very lucky individuals will notice this new trait on their LE Logs. And yes, it DOES pass on to offspring, as it is a regular passing trait. Antelope Antlers are the more likely antlers that will show up on these LEs, but of course not every LE will get antlers. Dawnlight eyes will show up guaranteed on Risen LEs, and Moonbeam eyes will show up guaranteed on Fallen LEs. These LEs can be obtained in exchange for 7500 FWN Points or L$995 Lindens.